After the Civil War, the United States entered a new phase of industrialization. Railroad magnates began to consolidate and expand railroad lines around the country. Factories needed raw material to power their increasingly mechanized production lines. Andrew Carnegie adopted ideas about vertical integration -- owning each stage of the steelmaking process so that he might control the quality and profit from start to finish. Both U.S.-born and immigrants from all over the world took dangerous jobs for low pay. As the pace of industrialization quickened, and profits accumulated in the hands of a few, some workers began to organize and advocate for unionization. The workers wanted more safety regulations, better wages, fewer hours, and freedom of speech and assembly. But most companies vigorously opposed the union, arguing for the right to control their private property, and to conduct business without intervention. Industrialists hired guards to maintain surveillance over the workers, and they blacklisted known unionists. Learn more about events from the West Virginia Mine Wars within a national context during a period that was punctuated by violent struggle between labor and management. Mine operators in Pennsylvania reduce wages, and 10,000 miners go out on strike. The Molly Maguires, a group of mostly Irish miners, plan attacks and use violence against the operators and foremen. Twenty of the Molly Maguires will be sentenced to death by hanging. 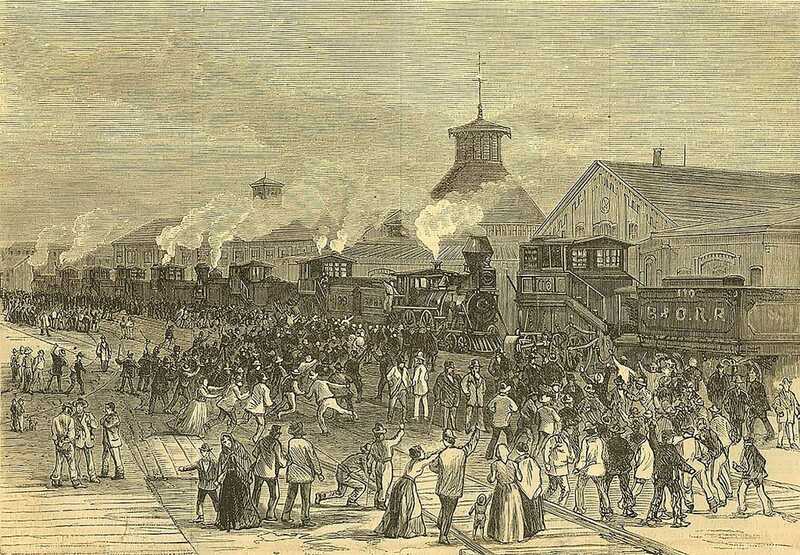 The Great Railroad Strike begins in Martinsburg, West Virginia when the Baltimore & Ohio railroad company reduces wages for the second time that year. The strike spreads to other states, and state militias are mobilized, resulting in several bloody clashes. At least 10 workers die in Cumberland, Maryland. 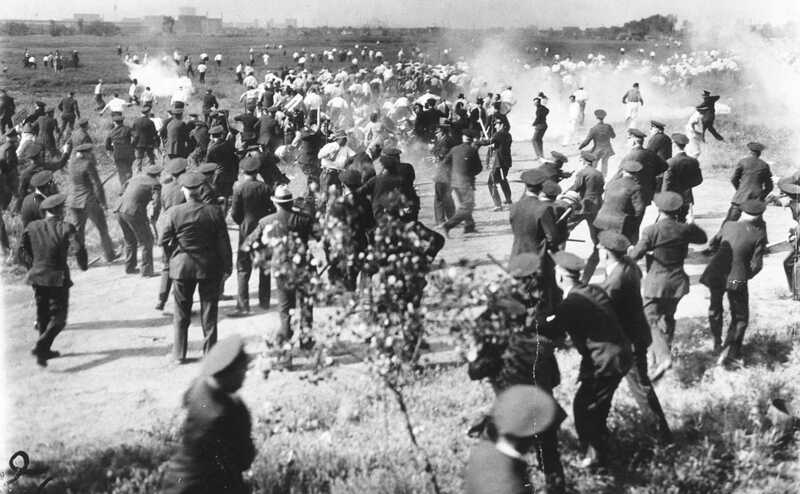 A day after a union action in support of the eight-hour workday results in several casualties, labor leaders and strikers gather in Chicago, Illinois to protest police brutality. A bomb is thrown at policemen trying to break up the rally in Haymarket Square, creating chaos that results in the deaths of seven policemen and four workers. The clash is known as the Haymarket Affair. The Knights of Labor Trade Assembly No. 135 and the National Progressive Miners Union combine to create the United Mine Workers of America (UMWA). The goal of the new union is to develop mine safety, to provide miners with collective bargaining power, and to decrease miners' dependence on the mine owners. Steelworkers on strike at the Homestead Steel Works in Homestead, Pennsylvania fire on Pinkerton guards hired to keep order by general manager Henry Clay Frick. A Pinkerton Guard named John W. Holway later recalls, "...there were cracks of rifles, and our men replied with a regular fusillade. It kept up for ten minutes, bullets flying around as thick as hail, and men coming in shot and covered with blood." The governor of Pennsylvania orders that state militia intervene and 8,500 National Guard arrive. Known as the Homestead Strike, the action ends four months later. U.S. Army soldiers intervene in the Pullman Strike. Two months earlier, factory workers at the Pullman Palace Car Company owned by George Pullman walked out in protest of a wage cut, and their strike disrupts the nation’s railway system and mail delivery. After President Grover Cleveland orders federal troops to Chicago, Illinois, the strike ends, and the trains start moving again. In Lattimer, Pennsylvania, 300 to 400 striking coal miners march to demonstrate support of the UMWA. Police under the direction of Luzerne County Sheriff James F. Martin order demonstrators to disperse. The march continues, and the police open fire, killing 19 miners. It is known as the Lattimer Massacre. When the Chicago-Virden Coal Company imports replacement workers during a strike at their mine in Virden, Illinois, the UMWA miners arm themselves with hunting rifles, pistols and shotguns and attack the train carrying them. Both miners and guards suffer numerous casualties in the ensuing Battle of Virden. More than 3,000 Saint Louis Transit Company workers go on strike in St. Louis, Missouri in an attempt to receive recognition for the Amalgamated Street Railway Employees of America. On June 10, 1900, three transit workers are killed when a group of wealthy citizens fire upon them. The strike lasts until September, after the deaths of 14 people. Miners in eastern Pennsylvania strike for shorter workdays, higher wages, and recognition of the UMWA. President Theodore Roosevelt threatens to take over the mines with militia, forcing the unwilling operators to negotiate. 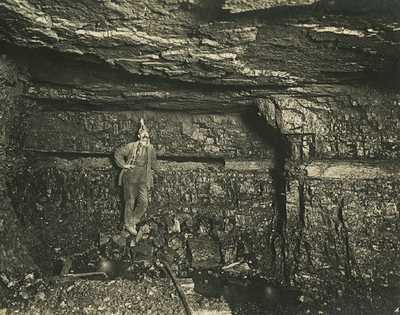 The Anthracite Coal Strike of 1902 ends with a 10% increase in pay for most miners. West Virginia coal miners strike, both in sympathy for the miners in Pennsylvania and with the stated goal of achieving union recognition in West Virginia. A government-mandated reduction of the workweek goes into effect in Lawrence, Massachusetts, resulting in pay cuts at textile mills. In response to the decrease in wages, textile workers go out on strike. Soon after, the Industrial Workers of the World (IWW) arrives to organize and lead the strike, and the mayor orders that a local militia patrol the streets. Local officers turn fire hoses on the workers. After two months, mill owners settle the strike, granting substantial pay increases. In southern West Virginia, the Paint Creek-Cabin Creek Strike begins in Kanawha County, just 30 miles from the state capital of Charleston. Miners demand that their wages match those earned by unionized miners nationally. Mine owners hire the Baldwin-Felts Detective Agency to break the strike. Violence erupts, and by September, Governor William Glasscock declares martial law. It is not until July 1913, after the violent deaths of more than 50 people, that the last miners will lay down their arms. 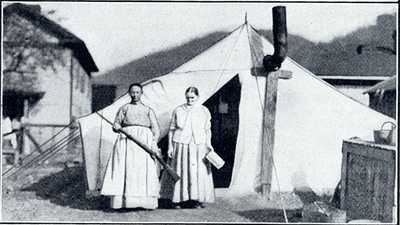 The Colorado National Guard and guards from the Colorado Fuel & Iron Company attack a tent colony in Ludlow, Colorado housing 1,200 coal miners striking for union recognition. More than 20 people, including two women and 11 children, are killed in what would come to be known as "The Ludlow Massace." 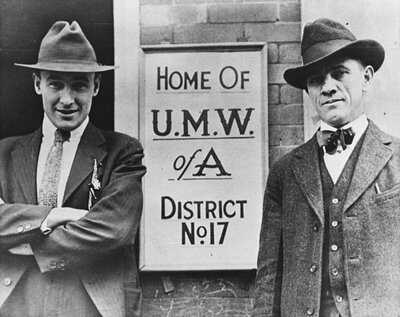 Frank Keeney and Fred Mooney assume official duties as executive officers of UMWA District 17 in Charleston, West Virginia. Keeney began working in the mines as a child but was inspired by Mother Jones to educate himself and become a labor leader. He becomes one of the key leaders of the miners throughout the Mine Wars. Congress declares war on the German Empire, officially bringing the U.S. into World War I. 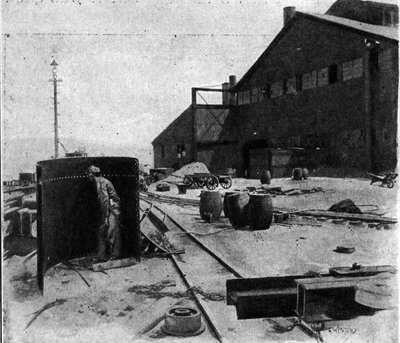 Needing fuel for military factories and warships, the federal government assumes de facto control of the coal industry, allowing many unorganized miners to unionize. Coal production and consumption soars. Vladimir Lenin's Bolsheviks seize power in Russia. This political change causes some Americans to fear that unionization efforts are a step forward along the road to communist revolution. A "general strike" is called in Seattle, Washington to advocate for the role of organized labor. Catalyzed by wage grievances of shipyard workers in the city's prominent port, 65,000 workers walk out for five days. The strike is nonviolent, but plays into the Red Scare of the time. Police officers in Boston, Massachusetts strike for better working conditions, higher wages, and recognition of their union, and around three quarters of the police department fails to report for work. The police department fires the strikers and recruits a new force. The U.S. Army takes control of Gary, Indiana, and martial law is declared after steelworkers clash with police. The steelworkers are on strike to secure the right to hold union meetings. 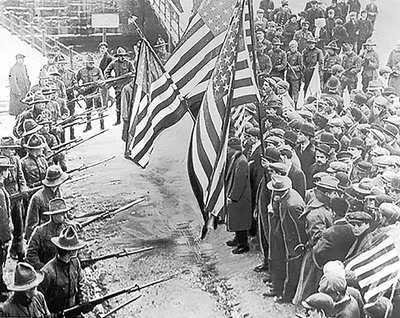 Although 365,000 steelworkers participate nationwide, the Great Steel Strike of 1919 is defeated. 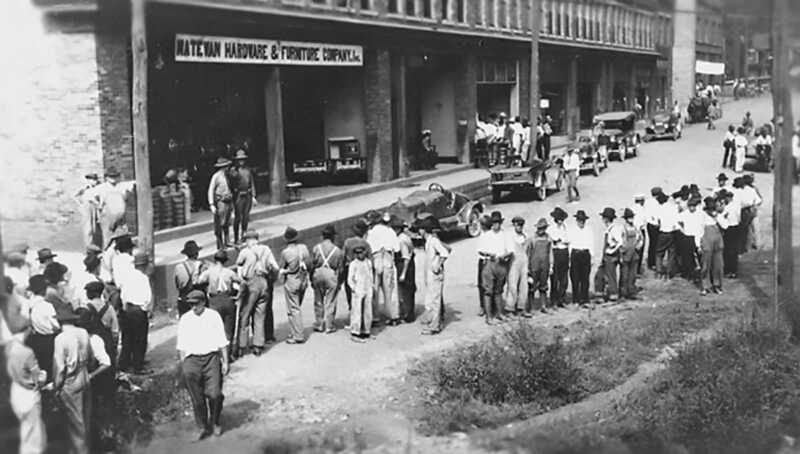 A contingent of detectives from the Baldwin-Felts agency arrive in Matewan, West Virginia to evict striking coal miners. After several evictions, Mayor Cabell Testerman and Chief of Police Sid Hatfield confront the detectives and attempt to arrest them. A shootout erupts, leaving the mayor, two miners, and seven Baldwin-Felts agents dead. The shootout is known as the Battle of Matewan or alternately, the Matewan Massacre. 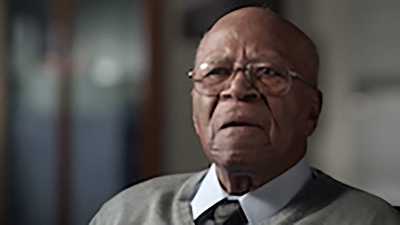 Sid Hatfield is later tried and acquitted for murder, causing celebration among miners who see Hatfield as their champion. Four men are shot in a battle between union miners and sheriffs in McDowell County, West Virginia. The violence is part of an ongoing struggle for recognition of the UMWA in Southern West Virginia. Following the "Three Days Battle," during which hundreds of coal miners attack coal mines along the Tug River in Mingo County, West Virginia, Governor Ephraim Morgan declares martial law. He places Thomas Davis, a veteran of the Spanish American War and WWI, in charge of the state police, a battalion of 800 "special police," and a 250-man "vigilance committee." Davis and his men imprison several miners without charges. West Virginia miners prepare to march toward Mingo County to assist men imprisoned under martial law there. U.S. General Harry Bandholtz meets with local UMWA leaders Frank Keeney and Fred Mooney, warning them that they will be held personally responsible for unlawful actions of UMWA members, and if the miners do not stop their march they will be "snuffed out." Frank Keeney gives a speech to a crowd of armed miners gathered in Madison, West Virginia and the miners agree to disband, but rumors of atrocities committed by a county sheriff named Don Chafin soon reignite the conflict and send the miners marching toward Mingo County again. To reach Mingo County, they will attempt to pass through Logan County where Don Chafin, his men, and the West Virginia State Police oppose the marching miners. President Warren Harding issues a proclamation ordering the marching miners and Logan County defenders to disperse by noon on September 1. Leaflets issuing the proclamation are dropped on both sides by airplanes. Neither side complies. Fighting between armed miners and the Logan County deputies and defenders ensues. U.S. Army troops, requested by General Bandholtz, arrive in West Virginia and are deployed the following day. With both sides anticipating the arrival of the troops, hostilities cease and the battle is over. The number of lives lost is unknown, but is estimated to be at least 16. Bill Blizzard, the de facto leader of the miners at Blair Mountain, goes on trial for treason against West Virginia in the same courthouse in Charles Town, West Virginia where John Brown had been sentenced to death in 1859. He is acquitted on May 27, 1922. At a meeting with John L. Lewis and the national leadership of the UMWA, Frank Keeney and Fred Mooney are forced to resign. Union membership declines throughout the remainder of the decade. President Hebert Hoover signs the Norris-LaGuardia Act into law. The Act outlaws "yellow-dog contracts" which forced workers to agree not to join a union as a condition of their employment. It also establishes that workers are allowed to form labor unions without employer interference and prohibits federal courts from issuing injunctions against non-violent labor disputes. Republican Senator George W. Norris of Nebraska and Republican Representative Fiorello H. La Guardia of New York sponsored the Act. The Norris-LaGuardia Act sets the stage for further labor reform legislation, such as the National Labor Relations Act of 1935, or Wagner Act, which will outline the fundamental rights and powers held by unions and establish penalties for violating those rights. Newly-elected President franklin D. Roosevelt signs the National Industrial Recovery Act, granting industrial workers the right to join a union. As a result, the UMWA sweeps through West Virginia, including the previously unorganized southern coalfields. A series of sit-down strikes begins at a Goodyear Tire plant in Akron, Ohio when workers sit down at their usual workstations. Management is reluctant to attack the workers for fear of damaging company property. Workers at the Republic Steel Plant in Chicago, Illinois protest the company officials’ refusal to sign a union contract. When the picketers refuse to disperse, members of the Chicago Police Department deploy tear gas and shoot and kill 10 demonstrators on the picket line. The event is coined the Memorial Day Massacre. A strike begins at the Allis-Chalmers Manufacturing Company plant in Milwaukee, Wisconsin. The plant has manufacturing contracts with the Navy and the work stoppage hampers national defense production. On April 4, the Washington Post editorial board states, "this strike has degenerated into virtual war against the government, and should be regarded as such." President Roosevelt intervenes and the strike is resolved by the newly created National Defense Mediation Board. 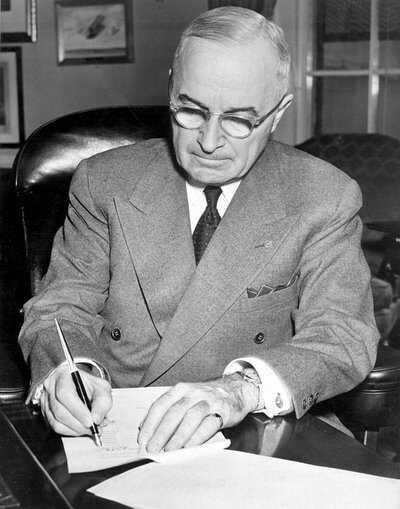 President Harry Truman intervenes in a steelworker strike, set to begin the following day. He asks Secretary of Commerce Charles Sawyer to seize and operate the country’s steel mills in order to keep them open for defense production during the Korean War. The steel companies object. The seizure is later found unconstitutional by the U.S. Supreme Court. A strike spreads in the sugar cane fields of Reserve, Louisiana when sugar companies refuse to recognize the National Agricultural Workers' Union as a bargaining agent. State troopers patrol the roads to "head off violence." The local paper reports that "union members refusing to work will be evicted from their company-owned homes." The strike is called off in November with no gains for the workers. A bomb explodes at the United Farm Workers (UFW) union office in Hollister, California during the largest strike of farmworkers in U.S. history. It is rumored to come from a rival union, competing to represent the farmworkers. A mine supervisor at Duke Power Company shoots and kills a striking miner during a clash following UMWA efforts to recruit miners at Brookside Mine in Harlan County, Kentucky. Duke Power Company refuses to negotiate with union miners, and they hire prisoners on work release to guard the mines. The union miners are known to have shot the tires of vehicles carrying replacement workers. In Lebanon, Virginia, 39 women occupy the headquarters of the Pittston Coal Company and hold a 36-hour sit-down strike in solidarity with the UMWA miners. The miners are in dispute with Pittston over changes in healthcare and retirement benefits.